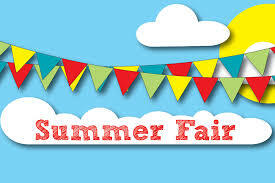 Later on in the Summer term on Saturday 6th July is our annual Summer Fair – a massive fundraiser for FAB. 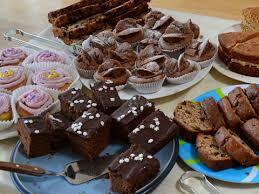 We have lots of exciting activities, stalls, food and drinks for the whole family to enjoy. These events can’t be held without the significant help of our school community, so if you can help in the run up, set up, during the event or clearing away, make a note in your diary and the online sign up links will be available soon. We’re pleased to tell you about the Spring activities that FAB are involved in for this term. 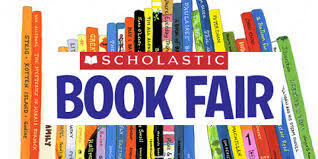 First is the return of the Scholastic Book Fair from Friday 1st March until Thursday 7th March. As per previous events, it will be held at the KS2 site by the Year 6 Base. Last time we ran the fair, we took over £800 which resulted in £87 worth of books for the school. So come down and have a look at the range of discounted books for sale. 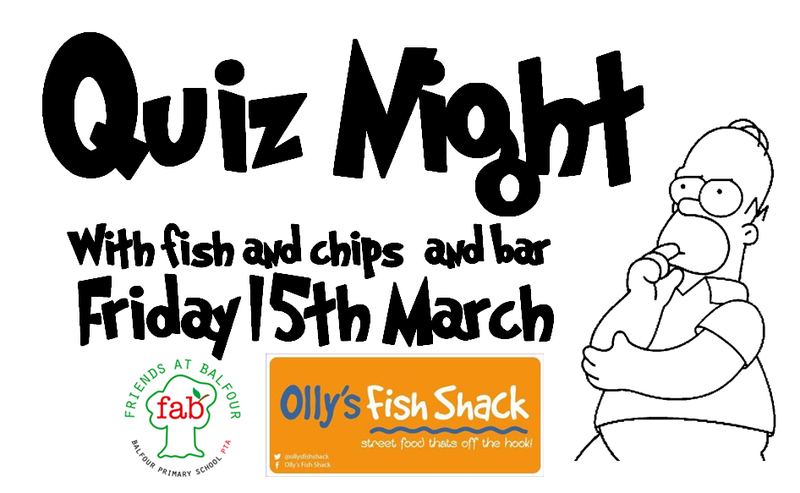 Also this term, is our Spring Quiz Night on Friday 15th March raising funds to support Science Week later in the year. 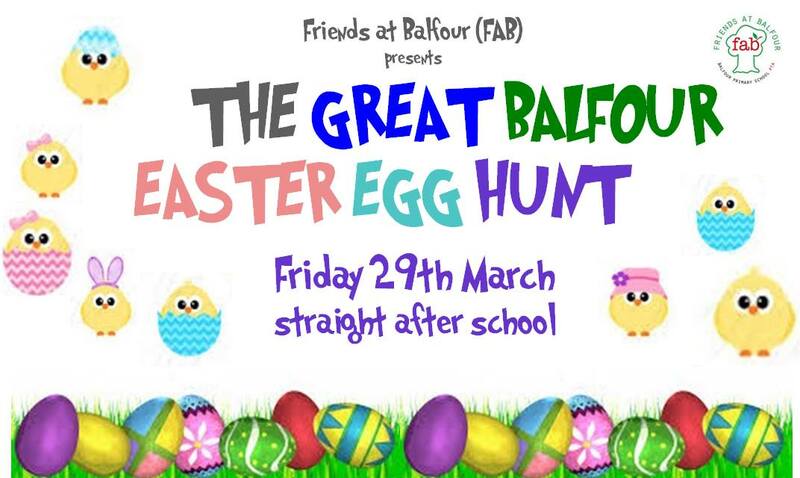 Annual Easter Egg Hunt will be held after school on Friday 29th March. Tickets for both these events can be bought online – check out the events posts on this site. 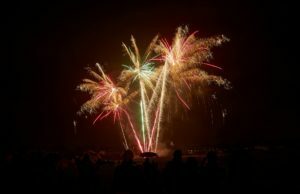 We’d like to thank everyone for their support during 2018 – to our lovely volunteers and to anyone who attended our events and participated in our other fundraising activities. Come and join in and find out more at our committee meetings – first is on Tuesday 8th January in Yr 6 base, KS2. 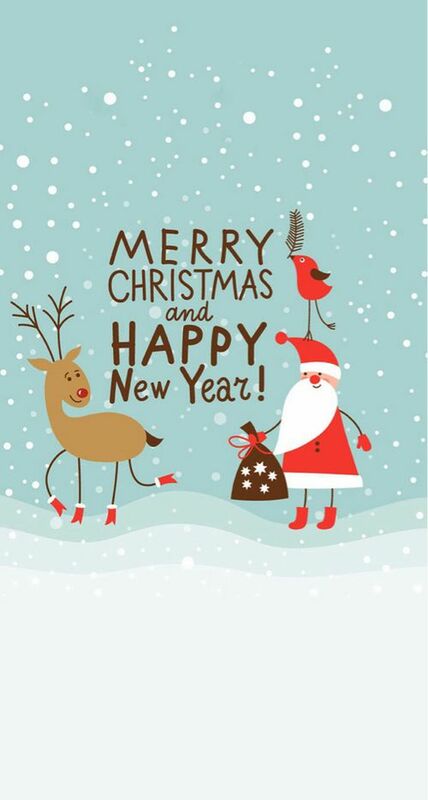 We look forward to a fun packed 2019! Oh the weather tomorrow is frightful, but the fair will still be delightful…. 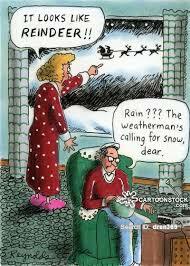 So yes light rain expected tomorrow afternoon – but it’s the winds that are causing us hassle!! We can now ensure you the the whole fair will be inside in the warm!! I’m not sure how we have managed it… but it should all be fine! 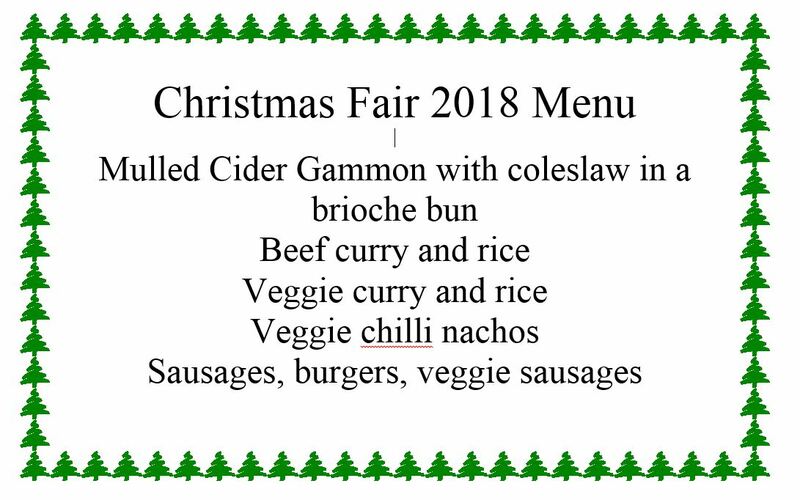 Sadly there will be no Christmas karaoke as something had to go… we will still have everything else, hot food, a full bar, candy floss and all the stalls. It maybe be slightly squishy in places but please come and help us raise money for the school!! With only 2 sleeps to the Christmas fair the FAB crew have been very busy and we’re getting excited! 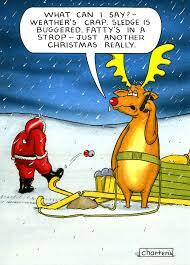 8 sleeps till the Christmas Fair! We’re still looking for adults to help with candyfloss stall, set up on Friday evening or Saturday morning and clearing away and can fit in more Year 5/6 children on stalls. 10 Sleeps Until The Christmas Fair! You can buy your Grinch or Santa visit tickets online for £3.50 each at www.ticketor.com/friendsatbalfour – search for a 15min slot that suits you! Tickets can be bought online until 9pm on Friday 7th December, but also available on the day. We are delighted to announce that we will be supporting the Whitehawk Foodbank’s Christmas Donation campaign again this year. The foodbank provides essential support to families all over the Brighton area and our generosity is especially welcome in the run up to Christmas. 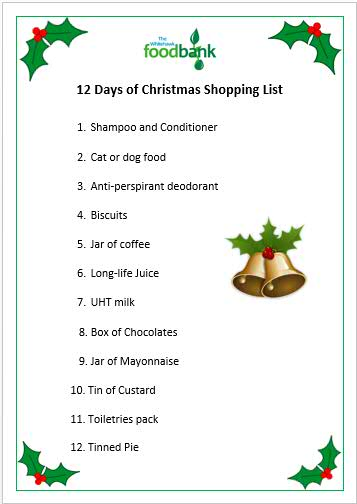 We’re asking for the children to bring in an item from this list on any day between Monday 3rd December and Friday 7th December. They should deposit it in the foodbank crates at KS1 or KS2 offices. 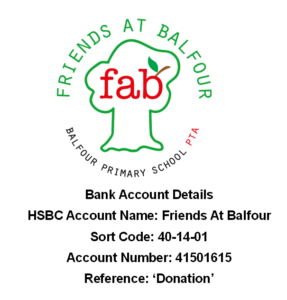 The items will be collected and delivered to the Foodbank by the school. Hope you can support this! Reference: ‘Donation’ or something funny!